Monopoly prices of diagnostic tools and lack of competition in the market constitute a barrier to treatment for people with hepatitis C virus (HCV), but the increased use of “open” diagnostic platforms could reduce prices, a health advocacy research study has found. The study focused on access to HCV diagnostics in Morocco, and compared levels of access for countries in the Middle East and North Africa (MENA) region. The results are detailed in the report Diagnosis and monitoring of hepatitis C (HCV) in Morocco: Current Status and strategies for universal access, published in May 2018 by the Association de Lutte Contre le Sida (ALCS) in Morocco. The report was written by Pauline Londeix, consultant on access to medicines and diagnostics in low and middle-income countries, and former vice president of Act Up-Paris. The report found that the companies Abbott, Roche and Cepheid “benefit from a near-monopoly of platforms used in Morocco to measure HIV and HCV viral loads.” Countries that purchase diagnostic platforms from these companies also generally enter into exclusivity contracts with them, establishing monopolies on the supply of materials needed to complete each test, the report explains. “The purchase of equipment from manufacturers such [as] Roche, Abbott and Cepheid forced buyers to also purchase reagents orders from the same manufacturer. In other words, the Moroccan public sector is equipped exclusively with closed platforms,” the report states. Due to the exclusivity contracts and the brand-specific compatibility of these platforms, the prices of the “reagents” required for each viral load test are not subject to competition, and are set at monopoly prices, Londeix explained in an interview with Intellectual Property Watch. “It is really critical that all the actors working on ‘access to health’ start thinking more about diagnostics, and see how they can help to remove the barriers, and that the open platform can be part of the solution,” she said. The World Health Organization’s Global Health Sector Strategy on Viral Hepatitis 2016-2021 [pdf] states that “[e]arly diagnosis of hepatitis infection is critical for effective treatment and care” and that “[m]edicines, vaccines, diagnostics and other commodities will constitute an increasingly important component of national hepatitis budgets, particularly as treatment is expanded,” calling for strategies that foster “generic competition” to promote access. “Of the estimated 71 million people living with chronic HCV, only an estimated 20% are aware of it. 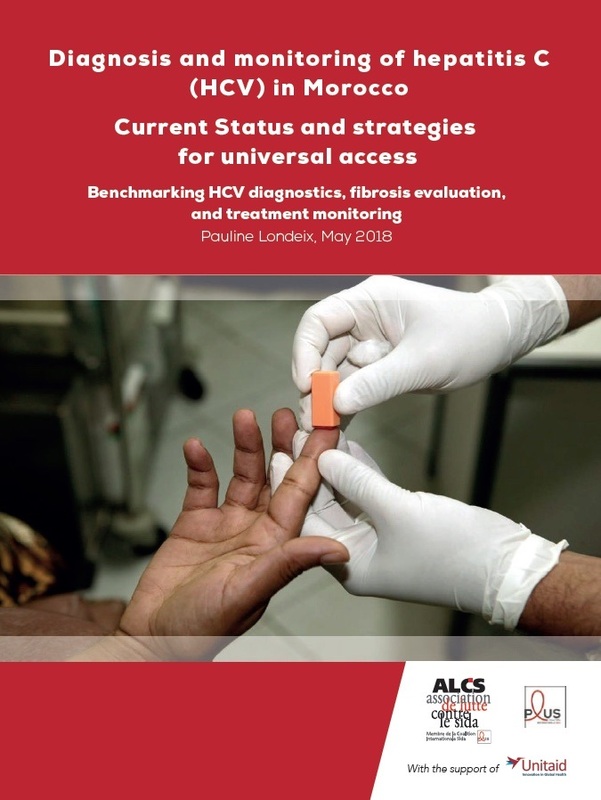 Lack of national guidelines and limited access to testing remain a bottleneck, both for gauging the burden of disease, and for planning effective implementation and scale-up of HCV treatment programmes,” according to a Médecins Sans Frontières (MSF, Doctors Without Borders) product guide on HCV viral load testing. Two rapid point-of-care serological tests have been developed to “facilitate decentralized HCV testing programmes,” but there is “an urgent need to further expand the list” of rapid point-of-care options to “foster competition and create a more healthy market,” according to the MSF guide. Even when these rapid tests are scaled-up, viral load tests will still be needed to monitor and assess treatment, Londeix explained. In response to the need for access to HCV diagnostics, Roche commits “to enabling improved patient management by delivering innovative, high-quality diagnostic products where they are needed most,” according to the Roche website. Abbott is “constantly searching for new ways to help improve the tests available to diagnose people living with HCV. Part of that process involves studying the barriers to access to testing that hinder eliminating this serious disease,” according to Gavin Cloherty, director of infectious disease research for Abbott’s diagnostics business, quoted on the Abbott website. Cepheid announced on 23 July that it would lower the price of its Xpert HCV diagnostic test, “to make the tests more accessible to lower-income countries,” according to the Cepheid website. In addition to the quasi-monopolies on viral load diagnostics, and the lack of competition for rapid diagnosis tests, there is also a global monopoly on non-invasive platforms for diagnosing liver fibrosis, a result of untreated HCV, according to the ALCS report. These platforms, FibroTest and FibroScan, were developed with public funding in France, patented, and exclusively licensed for commercialization to BioPredictive and EchoSens, respectively, according to the report. “The report of the UN’s High-Level Panel on Access to Medicines calls for the use of open licenses in this type of situation,” the report notes. Rather than granting exclusive licences to companies for commercialization, resulting in monopolies of critically-needed diagnostic technology, the report argues that these technologies should instead serve the public interest in the form of open licences for generic production and competition. “The international community, particularly the WHO and others, should help countries to start producing diagnostics locally, where it is possible. When we look at the HIV viral load patent landscape, we see that most of the patents have expired, which means that today other companies could produce open platforms, and all these technologies. The WHO should assist countries in the local production of diagnostics. It should also provide more clarification of the regulations for regions, because apparently it’s complicated or can be sometimes confusing [for governments],” Londeix said. Open diagnostic platforms for HCV are currently available, such as the platform developed by Biocentric, which accepts reagents and components from multiple different brands, according to the report. Londeix explained that these platforms are not yet used extensively enough to bring about price competition for reagents, and called on countries to switch to open platforms, and on the WHO to promote the use of open diagnostic platforms. “Open platforms accept reagents from a much wider variety of suppliers, therefore ensuring stronger competition and lower prices. As closed platforms induce systemically higher operating costs, Morocco must immediately opt to equip its HCV response with open platforms to foster competition, reduce costs, and provide leverage in price renegotiations with Abbott, Roche and Cepheid,” the report recommends. "Near-Monopolies On HCV Diagnostics Curb Competition, Keep Prices High, Research Finds" by Intellectual Property Watch is licensed under a Creative Commons Attribution-NonCommercial-ShareAlike 4.0 International License.